"The Wilson Team is incredibly efficient, professional and very easy to work with! I love the home I was able to buy with their help and, as a first time home buyer, I couldn't have don't it without their home buying knowledge and expertise!!" “Joyce was GREAT to work with. She was very quick to respond and was very knowledgeable of the market. She was extremely respectful of our budget and helped us find the perfect home. She went above and beyond to walk us through the process and make sure we had a full understanding of everything. She went out of her way to accommodate us when searching for homes and planning visits. Had very good knowledge of the neighborhoods and surrounding areas. She was easy to get in touch with and was very responsive to phone calls and emails. Had a lot of knowledge on home repairs, associated hidden costs, and small overlooked details which could impact our decisions." “ Excellent experience! From her knowledge of the local housing market to putting me at ease I give her an A+. She assisted me with tips on staging my home and from beginning to end House was sold in 2 months!" The best compliment we can get is when you share your story! “Melana was AMAZING! She was so patient, detail oriented & prepared. Whenever she showed us a house, she already knew all the details & specs. Any questions we had about information that wasn’t provided to her, she would get back to us with an answer that same day. I cannot say enough good things about our experience with Melana. She made buying a house much less stressful. I highly recommend her!" “Melana was a true blessing during our out of state move to VA! She worked with us many months during which she kept us informed and reassured but NEVER pressured. “Melana is wonderful and we couldn’t have done our transactions without her. She and her husband, Michael, are professional, reliable, and sincere. We needed to sell our home quickly to close in time on our new home. Melana helped us every step of the way and ensured that both transactions went very smoothly. Her strategic advice was invaluable given her extensive experience. She was on top of all deadlines and was always the first one to review and keep us ahead of all incoming emails, contracts, etc. She answered our phone calls throughout the days and evenings, and made us feel like we were her only client. She patiently answered all our questions and put our stressed minds at ease on many occasions. She made our transactions as stress-free as possible, and we’re extremely grateful for her help. We would recommend her to all our friends and family!" She is wonderful and so patient, we never felt in a rush. She was always available, gave great advice and helped us make sound decisions when it came to negotiations. Melana's calm demeanor was also appreciated through a hectic time of buying and selling our home. She was always there when we needed help, and was always responsive when we had questions. “Our experience with Melana as our realtor was phenomenal. She worked around the clock to make sure we were fully informed about the process and very patient and always willing to give advice and also to listen. I could not recommend anyone better than this woman here! “It’s hard to even know where to begin with Melana Wilson! She has been an important part of our lives for two years now, from helping us find a rental to when we first moved to Virginia two years ago, to keeping in touch with us until the time came around for us to look at buying again! With every change, came a flexible and supportive Melana. We had begun to think that we would have to compromise on so much and “give up” on things we really wanted, but she kept looking until she found us exactly what we wanted! On top of that, she helped us negotiate a great price that both buyer and seller were pleased with! Truthfully, she did EVERYTHING to help us! Without Melana, we honestly don’t know how we would have come to this place in our lives! We will never use anyone besides Melana and Michael Wilson and will shout from the rooftops to recommend them to anyone that may be looking for a realtor that has integrity and heart. Michael, we had a wonderful experience with you as our agent! I have to say that we could not have had a better representative on our side through this very difficult situation. You are a true professional! "What an incredible experience to entrust such valued friends with such an important transaction and to have the Wilson's take such fabulous care of my friends. Being a Certified Distressed Property Expert CDPE designation, I totally understand the intricate nature of this transaction, so it is not an easy one to pass along lightly! expertise, and we could not have done this without you!! You’re the best and you delivered everything and more than promised. I truly appreciate all the hard work you did, from our first meeting to our dinner celebration. We overcame every hurdle with ease, because of your professional approach and dedication. You were always honest and forthcoming every step of the way and there were many steps. Never promising what you couldn't deliver and reassuring us when you knew we had doubts. The whole experience was phenomenal and I would highly recommend you to anyone even thinking about selling or buying! You are the best agents we ever worked with. Thanks so much for everything! "Thanks Melana! You were wonderful to work with. :) I wish all agents were like you!" I can’t say enough about how pivotal it was to have Melana Wilson as my Realtor. Because of her knowledge, dedication, commitment and support I am now living in my home, a home that my family and I love coming home to everyday. At our first meeting, Melana and I spent a long time discussing my financial picture, with her providing guidance on lining up all that was needed to be an aggressive buyer in this market (e.g., pre-approval letter, obtaining credit score, etc.). Most importantly, she listened to what I was looking for in a house and she helped me articulate those personal factors that were important in making a house my home. For example, for me one factor was having a back deck area in which I could enjoy a quiet cup of coffee with a view of trees. Over a month’s time, we toured multiple listings, taking each tour as an opportunity to refine my search. Without fail, if there was a house newly on the market we were touring it. After finding my home on a Sunday afternoon, she was by my side at my apartment until nearly midnight, drawing up the contract. When asked, she offered referrals for home inspection, settlement, etc. and while the house was under contract, ensured steps were completed in a timely manner. Melana never neglected the fine touches. For example, on moving day, she arrived with coffee and donuts for the crew that morning, packed a cooler full of cold drinks for the hot day, and sent pizza for lunch! Did I mention after closing, when I was uncertain about an item I needed to purchase for the home, she took me to Home Depot to ensure I purchased the correct item? Melana is an outstanding realtor who not only operates with integrity, she truly cares about her clients finding their home. Without reservation and with strong recommendation I encourage anyone looking for a home in this market to contact Melana. Melana Wilson is the reason we are finally adjusting comfortably in the NoVA area! From day one she was extremely patient, understanding, and supportive of us, which given our crazy, ever-changing situation, says a lot! With every change in our criteria for a home, she happily adjusted our search to meet our needs. She was also very accommodating with our opposing schedules by showing houses during the day to my husband who worked nights, then again to me during the evening hours. She was extremely patient and supportive as we became frustrated with our own personal struggles, and never let us give up! Above and beyond is how I would describe Melana. After all the different housing options we explored, we decided renting for a year to get a better grasp of this area was the best decision for us. And again, she switched gears and found us a wonderful, worry-free rental! Thank you Melana, our little family is finally settling in! Hiring Michael Wilson was the best thing that we ever did! We found ourselves in the unfortunate position of owning a townhouse that we bought when prices were high in northern Virginia, then moving out of state. We rented it for several years hoping the market would recover so that we could sell without taking a loss, but that didn’t happen. To make matters worse, we had a tenant who didn’t want to move ... then the tenant died suddenly. What a nightmare! Mike took this all in stride and worked with the family members to make sure their needs and ours were met. He got our property on the market very quickly and got multiple offers, even with a short sale. Mike and his team kept us informed every step of the way, handled all the negotiations, secured approvals from both banks very quickly, and helped us through all the paperwork until closing. From nightmare scenario to feeling a huge sense of relief when the sale was done, all in less than 3 months. We couldn’t have done it without Mike. Whether you are facing a difficult sale or a regular sale, I know that Mike will help you sell your house too! I did not know of a not-so-great real estate experience until a GREAT one came along. Thank you for your hard work. You really made a difference!! Thanks for your Positive Energy and Total great spirit! Consider yourself most appreciated!! Thank you for all of your hard work. This home-selling experience has been wonderful! I have known Mike and Melana for many years and can attest to their honesty and professionalism. They take a personal interest in every detail of their properties and specialize in finding win/win situations for their customers. You won't find a harder working, more dependable team! Thank you Melana and Mike for being so patient and understanding working with us. Thanks to you and Mike for taking the time out of your schedules to make sure that we are settled in our new house and making this transition so much smoother for Monty and I. Thanks for all that you have done in helping us move into our beautiful home, you have helped us out with your great program and hard work to get us where we are now. I highly recommend your company to all that would like to one day own their own house. You have been friendly, thoughtful and diligent every step of the way. I feel like you are one of my family. Thank You. I am sharing with you the success story of my experience with Melana and Mike Wilson. From the time I contacted Melana to the time I went to settlement was something less than 60 days. I was able to sign a contract to sell my home and find a new home and go to settlement on both properties within a week of each other. No other real estate agency or company could ever accomplish such a quick and easy process. The Wilsons proved to be very friendly, efficient, and provided constant contact and follow up. It was a pleasant and painless process! We Love this house!!! The neighborhood is great, very quiet. Thanks again for everything you and Mike have done for us! Melana and Michael Wilson contacted me after they contracted to purchase a house - they were interested in assigning the contract to someone who would remodel the house. Throughout the process, they were sincere, honest, and forthright about all aspects of the deal, followed up promptly on everything they needed to do to complete the sale, and arranged for a very smooth settlement process through their attorney. Further, they were very honest with the seller about what to realistically expect and what she would get from the sale, and they left the seller feeling good about the transaction. I hope to do many more transactions with the Wilsons! I have known Mike for a long time and know that he is a very ambitious and driven person. Whatever he decides to do, he accomplishes. I applaud his energy and commitment and recommend him to anyone thinking about hiring him and his Real Estate business. My experience with Michael and Melana has been nothing but pleasant. They always have been straightforward and honest. It's refreshing to find people of integrity. Melana is one of those rare individuals who can both take the initiative and know when to follow directions exactly. I have no hesitation recommending Melana! I just wanted to write and thank you so much for your invaluable help last week! I was thrilled to receive a call from you out of the blue - time and time again I am reminded of your promise to over-deliver on value. Many thanks again, you've been a star! When I first worked with Mike, one of my biggest obstacles was my propensity to get overwhelmed by the number and variety of options staring me in the face. Mike was one of the best I’ve ever seen at keeping the big picture in perspective, and picking the exact, right next thing to do. Mike has the ability to look at my goals, my tools and assets, and develop a common-sense, logical plan which will employ the tools to maximum effect, and get us to my goals. We've been blessed to know Mike and Melana for a long time and have worked with them on several occasions. Mike and Melana are our 'go-to' real estate professionals. 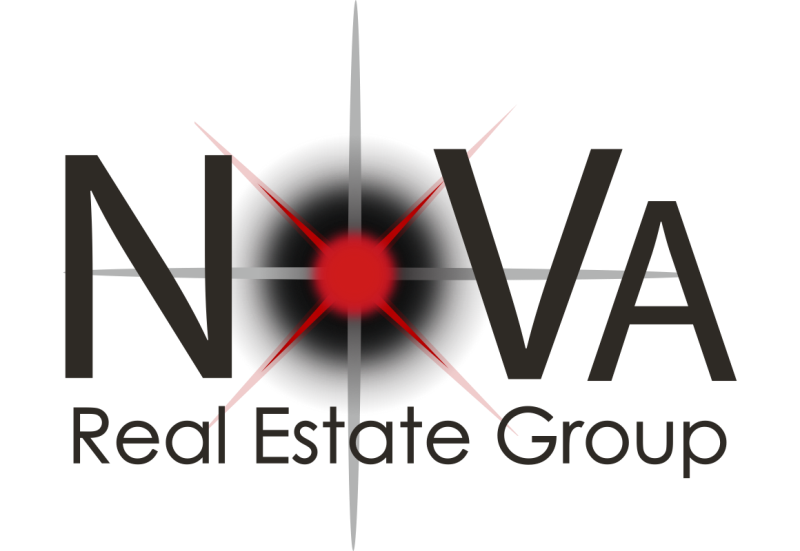 We recommend them to anyone who wants the best Realtors in the business ... we don't recommend anyone else! Your outstanding work ethics, great interpersonal skills, solid sales techniques, and remarkable leadership traits make you a champion business owner. It’s evident by the amount of work you produce and care and compassion you shower on your clients that you are in the top 1% of successful businesses. I am pleased to have the honor of working side-by-side with you as a colleague, trusted friend, and outstanding professional in our industry. I give my absolute highest recommendation for someone considering working with you. You are a true gentleman! Thank you for your integrity, mentorship, and excellent example of being a kind and sincerely caring person. Michael is an extremely hard worker, always punctual, detail oriented, and does the right thing. There were several times when “I don’t know how we could have gotten by without him”. Even in the most challenging situations, Michael finds the positive angle, the silver lining, the best solution. I confidently refer people to Michael! My family and I had just been re-located to the North Virginia area from Texas and corporate housing was ending. It was August and school was also starting. We were in a difficult spot because we didn’t have the credit scores and the necessary down payments to purchase a house. This is because my wife and I had just had a CH 7 bankruptcy discharged awhile back. We needed a place to rent to get some time under our belts, some stability for the kids and some credit re-established. Michael and Melana Wilson helped us greatly in this regard. They took a chance on us with a two year lease and offered to report the good payments to the credit bureaus. We had a goal in mind of trying to buy a home in a couple of years and went about going for it. We made all our payments on-time, every time. We saved when we could and made sure we took great care of the place because we wanted to show responsibility and good faith. The good news is that at the end of our two year lease, we were able to buy a brand new home in Gainesville. We got a good reference from the Wilson’s and the rest is history. It was really a blessing to meet a family like the Wilson’s who were willing to rent us their place and allow us the time we needed to get back on our feet.